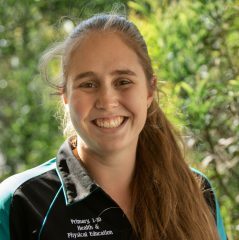 Amy is a familiar smiling face to the school community after completing a year-long placement in the YR5/6 classroom and Bluearth programme in 2018. In 2019, she joins the Middle School and College team as an Intern. Through the completion of her final placement at Bold Park, she found her teaching philosophy closely aligned with the main principles of Reggio and the philosophy of the school. Amy has a passion for the outdoors, especially aquatic activities including swimming and Surf Life Saving.